Van der Pekbuurt is a neighbourhood in Amsterdam within the Volewijck area, geographically close to the city centre, although the perceived distance is greater as it is separated from the city by the IJ lake. The population of Van der Pekbuurt was 4,661 people in 2013, a decrease of 478 from 2005 due to out-migration. However, 2012 saw a natural increase (births vs. deaths) and an important new trend of incoming “new urbanites”, people from outside of Amsterdam with a Dutch or Western migration background and below 55 years old, many of whom are students. In 2013, 20% of the population in Van der Pekbuurt were New Urbanites and their share continues to grow at a rate faster than other city districts or Amsterdam as a whole. The age structure of the area is diverse, however with a tendency towards being quite young. Households are overwhelmingly single person (55%), followed by couples without children (16%), couple with children (15%) and single parent families (12%). The number of business has also increased 22% since 2010, but this is overwhelmingly small, one-person enterprises as the number of people in employment has not grown. 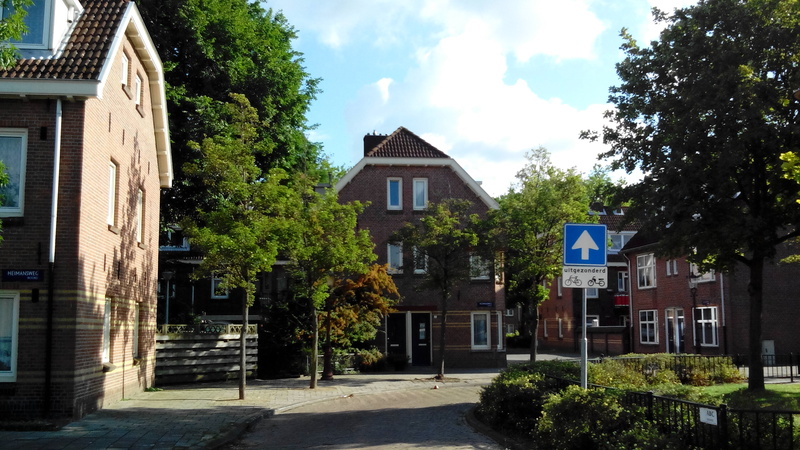 Some statistics are not available for Van der Pekbuurt specifically, but for the larger Volewijck area instead. Volewijck is relatively poor, with one of the lowest average incomes in Amsterdam and the highest share of households living at the social minimum, 32%, not including students. Between 2003 and 2012 this increased by 4%. Educational data for the Volewijck area shows that 55% of the population are low educated, 30% have intermediate education and 15% are highly educated (this has risen recently due to the influx of New Urbanites). Within Volewijck, Van der Pekbuurt performs worst in all social indicators. In 2013 almost half of the population (49.95%) of Van der Pekbuurt had a non-Western background and a further 10.7% had a Western, non-Dutch background. These figures include both first generation immigrants (those both abroad) and second generation immigrants (born in the Netherlands but both parents were born abroad). For a detailed breakdown, please see the section “Van der Pekbuurt in numbers” below. As is the case for many of Amsterdam’s neighbourhood, Van der Pekbuurt is dominated by social housing (89.4%) with some private rentals (4.3%) and owner-occupied (6.4%) properties. The houses tend to be relatively small, with an average of three rooms and 59% of housing having less than 60m². Three quarters of the houses were built between 1919 and 1930 and are almost exclusively low-rise. The average house price is well below the city average. As in most of Amsterdam, different ethnics groups are highly mixed in Van der Pekbuurt. Although there are concentrations of specific ethnic groups these concentrations also contains people from other groups and native Dutch, and multiple concentrations might overlap. Although non-Western ethnic groups are mixed, there are nevertheless distinct clusters of native Dutch and Western immigrants in the neighbourhood. Map of neighbourhood combination Volewijck: the neighbourhood detailed in the spreadsheet (Van der Pekbuurt) is located in the lower half of the map. Concentrations (>2sd above city average) of mainly Moroccans (yellow) and Turkish (red) but also Surinamese (dark blue) and Antilleans (green), other non-Western ethnicities (pink), and Western non-Dutch ethnicities (light blue).